i like the idea of adding a little something to the stairs. my daughter would also love this. These stairs are adorable. 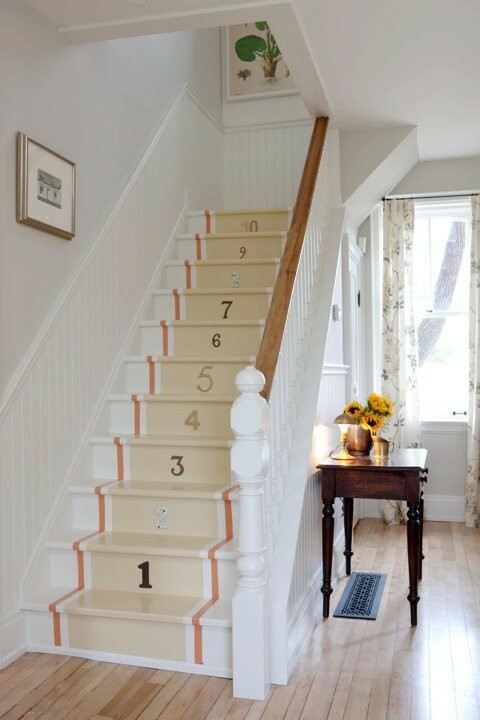 There are so many things you can do with wooden stairs, I wish I had them in my own home! I found your blog on Design Refuge and just wanted to say hello! I really like these, but I'm 29 and have no excuse to have them!